It’s time for the 5th Annual Windflower Holiday Book Sale. For the last four years I have been donating most of the profits from the December sales of all Sgt. 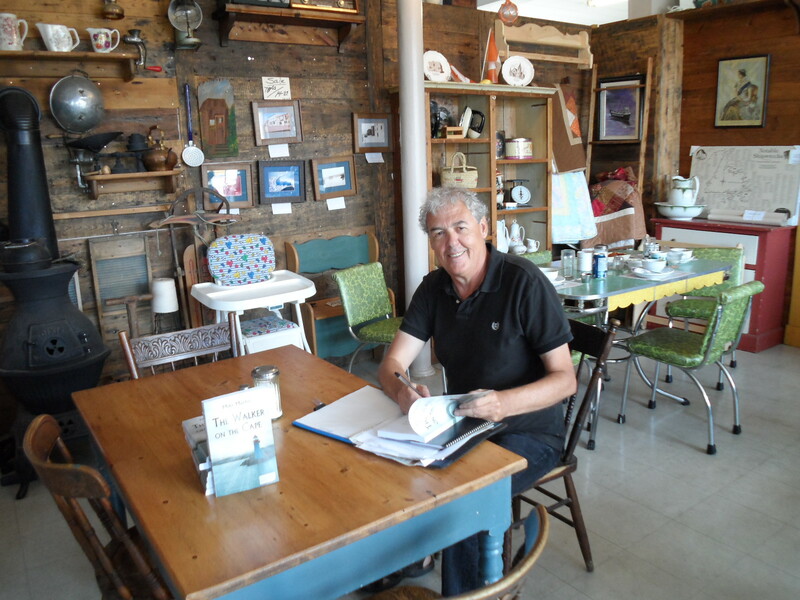 Windflower books to a great community cause. It’s a great way for me to give back a little to people and organizations who need so much, especially this time of year. In the last four years we have been able to donate over $2,000.00 to community groups who really need our support. This year I will be donating $5.00 from the sale of every Windflower book to the Minwaashin Lodge in Ottawa. Minwaashin Lodge is a healing centre in Ottawa that provides a range of programs and services to First Nations, Inuit and Metis women and children who are survivors of domestic and other forms of violence, and who may also be suffering the effects of the residential school system. The mission of Minwaashin Lodge is to provide wholistic programs and services for grandmothers, women, children and youth impacted by family violence and residential schooling. All programs and services are provided in the context of cultural beliefs and values as part of the healing journey. 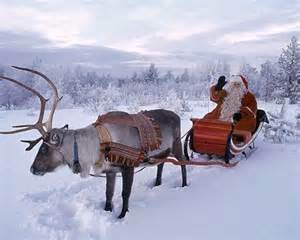 The money donated will go to support First Nations, Inuit and Metis women and children to have a good meal and presents from Santa under the tree on Christmas morning. If you make a donation to Minwaashin Lodge I will donate an additional $5.00. Just let me know that you’ve made a contribution. In addition, I will send a signed copy of a Sgt. Windflower Mystery, to you, or a friend or relative of choice, anywhere in the world. E-mail me at mike54martin@yahoo.ca and I’ll send the other book along. And of course, add my additional donation to the cause. You can also find them at Amazon online all over the world. For those of you who are just discovering the Sgt. Windflower Mystery Series here is some more information about the first four books in the series. They can be read as stand-alone stories, but if you want all of the flavour and colour of Sgt. Windflower’s adventures you can pick up the rest of the series anytime. They are all available online through Amazon all over the world and through Chapters/Indigo in Canada. Here is a snap shot and a cover shot of the first three books in the Sgt. Windflower Mystery Series. A man’s body is found in a small fishing community on the East Coast. First everyone thinks it’s a heart attack or stroke but then it’s discovered that he was poisoned. Who would do this and why? Finding that out falls to Winston Windflower and his side-kick Eddie Tizzard. Along the way they discover there are many more secrets hidden in this small community and powerful people who want to keep it that way. Sgt. 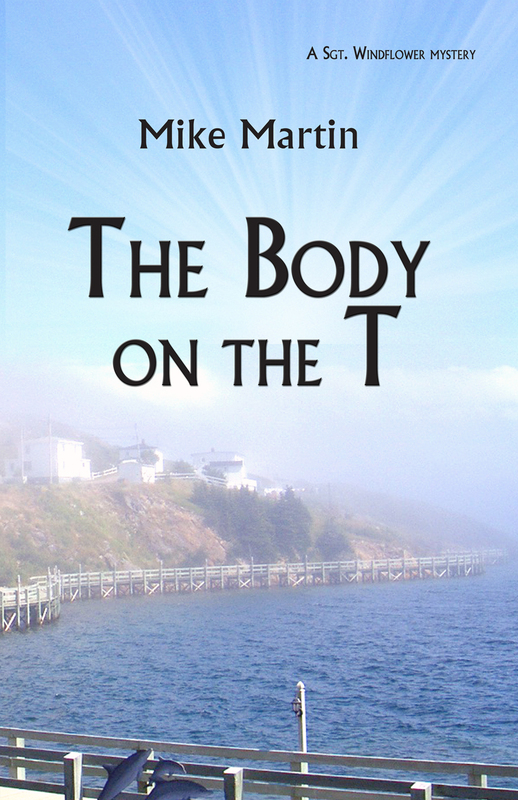 Winston Windflower is enjoying an idyllic life in the small town of Grand Bank, Newfoundland when a mysterious and very dead body washes up on a nearby beach. 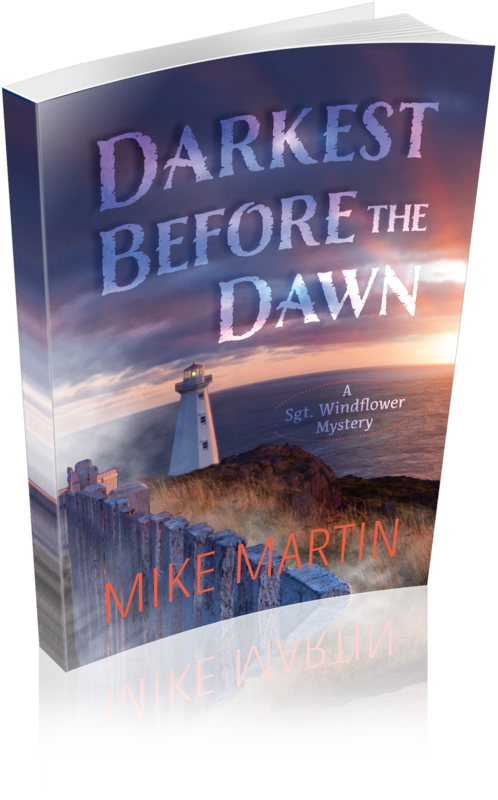 Follow along with Windflower and his team as he tries to solve this mystery and uncovers a whole lot more lurking under the fog on the southeast coast off Atlantic Canada. Windflower is the ultimate outsider, an RCMP officer and a Cree from northern Alberta, yet he feels right at home with the rich culture, food and history of this part of the world. But his world is shaken by a series of events that threaten his new-found happiness. And it all starts with the discovery of The Body on the T.
Sgt. Windflower is back!!! This time he faces down an international crime syndicate. Murder, mayhem and the Russian Mafia. Windflower is joined again by his trusted ally Eddie Tizzard, his rock-steady girl, Sheila, and a cast of supporters from the new Mayor to an old Crown Attorney. Together they fight the bad guys, at home and abroad. Windflower has to take on modern challenges like sexual harassment while re-discovering his roots and inner strength. It’s stormy weather for Sgt. Winston Windflower. This time there’s a blizzard of snow and an avalanche of prescription drug abuse that are threatening the community. And storm clouds are hovering over his long-term relationship. Follow Sgt. Windflower as he experiences both the joy and the sometimes sadness of life in a small town. Plus there’s always another great meal to savour and enjoy. Good food, great friends and a few more dead bodies. It’s summertime and the writing is, well sometimes it’s hard to write in the summer. That’s why I don’t even try anymore. I have learned that summer is supposed to be about relaxing and enjoying myself, visiting with friends and family and just lolling about in the garden or at the beach. But the craziest thing happens when I give myself permission to relax. I get these amazing ideas. It’s almost like unlocking a safe. Once I open up my mind and loosen my grip on the day to day, the universe releases all of this energy about the possibilities, the writing possibilities, of the future. So as I relax by the water I take a notepad or a small notebook with me and I jot down these ideas as they appear. I don’t try and analyse them or make them fit into any particular order. I just watch them appear and I write them down. When I have some quiet time later in the day, or sometimes early the next morning I take a look at them. I still don’t try and make sense of them or where they are going, or supposed to go. I observe them and then I put them away. But here’s the cool thing. After my summery days at the beach or lying in the hammock reading a good book are over I take them all out again. As I read these random notes I realize that they’re not really random at all. They have transformed into a story line or a series of activities or aspects of characters in my current series that that I had never thought of before. Sometimes even new characters and ideas for new stories are there. It’s kind of like Christmas morning for a writer!! So I don’t write in the summer anymore. I have realized that’s not my job. My job is to listen and observe and take notice of what is happening underneath the surface. All I have to do is sit back and relax. I can do that. I’m actually quite good at it. After the summer is over I have not only gotten myself back into a healthy frame of mind from just taking it easy, I also have these great ideas to work on. Some become the seeds that grow into the next Sgt. Windflower Mystery while others are left to ferment and grow inside of me. Still others never become anything more than that cool breeze you feel every so often on a hot summer day, they are not supposed to be anything but a thought, an idea, or maybe just a way to help you and your brain relax. That’s how I’ll be spending my summer. Not really looking for inspiration but ready to jot it down when inevitably comes. How about you? 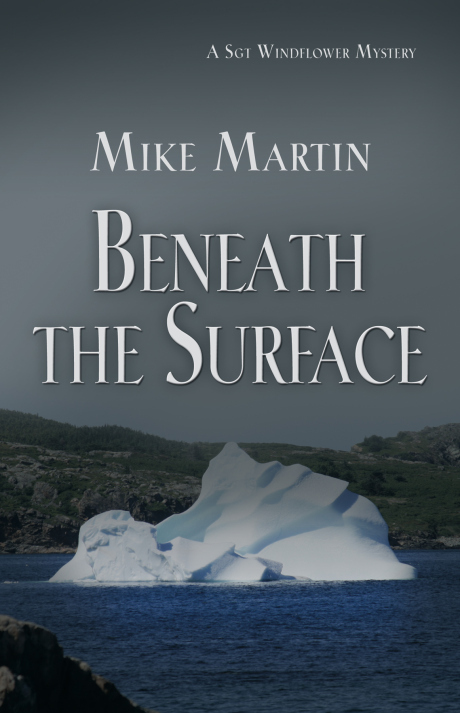 Mike Martin is the author of the Sgt. 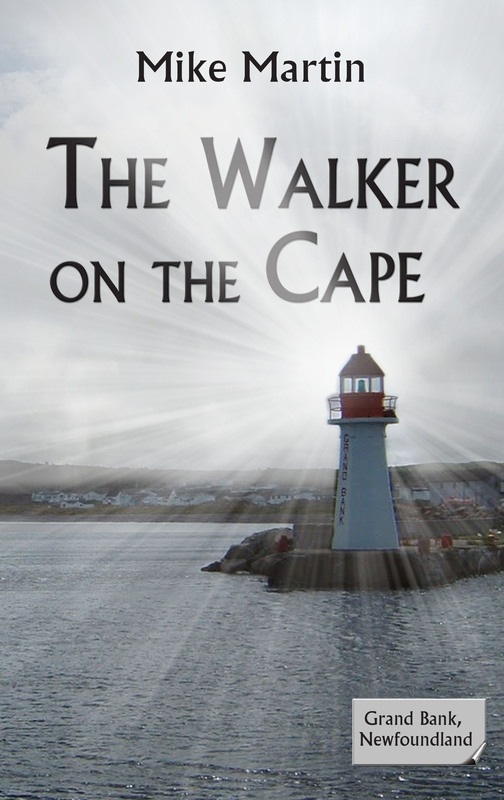 Windflower Mysteries which are set in Newfoundland at the easternmost tip of Canada. His latest book is A Twist of Fortune, available from Amazon in paper and Kindle all over the world, and in Canada through Chapters/Indigo/Coles and select independent book stores. For those of you who are just discovering the Sgt. Windflower Mystery Series through A Twist of Fortune here is some more information about the first three books in the series. They can be read as stand-alone stories, but if you want all of the flavour and colour of Sgt. Windflower’s adventures you can pick up the rest of the series anytime. They are all available online through Amazon all over the world and through Chapters/Indigo in Canada. A Twist of Fortune, the new Sgt. Windflower Mystery is available for order online all over the world. See below for links. It is also starting to be available in stores across Canada. Here are some retail locations where you can buy A Twist of Fortune in Canada. And stay tuned because more locations are being added every day. The reviews are starting to roll in and reviewers really like A Twist of Fortune. Here are some samples from the reviews to date. This book is well written and is the kind of story that makes you feel good when you read it. The characters are well-developed and it has a strong plot. Though there is probably a little too much focus on food and coffee consumption, the story unfolds nicely and comes together well at the end. It has the perfect blend of showing an interesting daily life, the charm of a small town, the intrigue of police work, and the love shared between two people in a strong relationship. 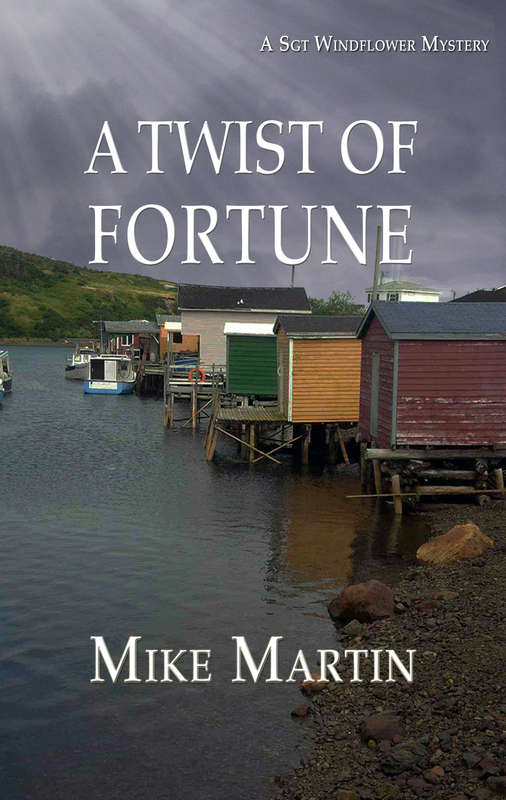 A Twist of Fortune is well-written, entertaining and interesting, and while at times it is a bit predictable, it doesn’t detract from the quality of the story. It’s a fun and heart-warming book that makes you want to read the rest of the series. The Sgt. Windflower Reading Equality Program is back. Every time we have released a new Sgt. Windflower Mystery we have made a number of copies available, absolutely free, to people on low or fixed incomes who simply cannot afford to buy a new book. Tons of people are living on a tight budget, on social assistance or on a fixed income because of disability or not being able to work anymore. It’s hard to comprehend in this world of plenty, but $20.00 is a lot of money if you haven’t got it and one of the ‘luxuries’ that many people give up is purchasing new books. They wait until they are available from the library or get them lent from friends or from the second-hand bookstore. We can’t give people a raise in their monthly stipend to help them with their book budget, but we can help at least a few of them enjoy my new books, fresh out of the printer’s box. This idea is called Reading Equality, a radically new concept that everyone should have access to quality, new release books. That’s why we are making 25 copies of A Twist of Fortune available to people on a low or fixed income. Absolutely free. First come will be people who have liked Sgt. Windflower Mysteries on Facebook but if you find out about or if you know of someone who could use one but can’t afford it, just message me on Facebook or Tweet me @mike54martin and we’ll make arrangements to get the book out to you. And yes I will even sign them. I also challenge other authors to join me in making Reading Equality a part of your regular practice. If you are an author you don’t have to give away a lot of books, try 5 as a start. And if you are not an author but want to support this initiative then you can participate by buying a few extra copies of your favourite author and passing them along to people that you know can’t afford them. As a writer and an author I know that I am in a privileged position. I have been given a great gift and a great opportunity. It seems to me a very small price to pay to give a little back, especially to people who want to read my books and the only thing standing between me and my readers is a couple of dollars. So join me in helping to promote Reading Equality. We may not be able to change all the world at once, but we can make our part of it a little better, one reader at a time. Of course if you have the cash, you’re certainly welcome to buy A Twist of Fortune. Here are some places you can get it.